Brand New: - Panel - Bus Bar - Cranking Battery & Deep Cycle Battery for all accessories - Everything rewired (no mess) - LED Nav Lights - LED All Round Anchor Light - Front LED Spreader Light (Lumatec Caprera 2) - SonarPhone Tranducer (sends signal to mobile devices) - Rockville Radio Head Unit and Remote (very loud) - 2 Hard Wired USB Ports (5amp, can charge 2 iPads at once) - RAM Mount for iPad - Faria MultiGuage Unit - Upholstered seat to fit on top of cooler for a seat - T Top with Dry Box and T Bag for life jacket Storage Stock #162528 Boat has everything you will ever need! TONS of options & WELL maintained! 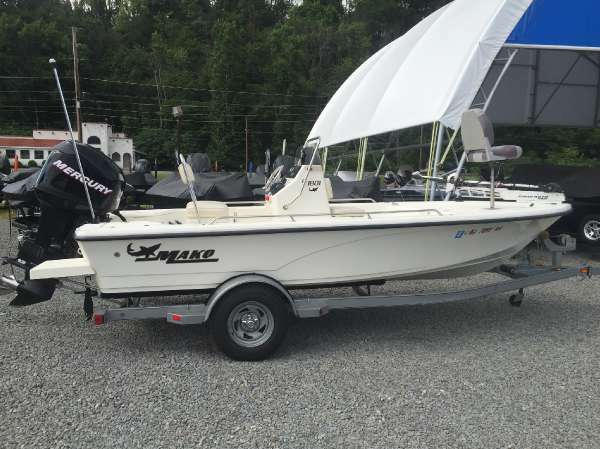 If you are in the market for a bay boat, look no further than this 2006 Mako 1801 Inshore, priced right at $22,400 (offers encouraged). This boat is located in Fort Myers, Florida. She is also equipped with a Suzuki engine. Reason for selling is time for a new adventure / bring all offers!. 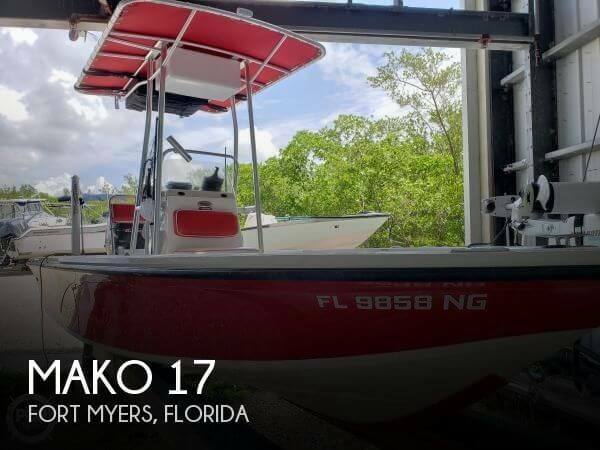 2007 MAKO BOATS 1801 Inshore The rock-solid 18-foot Mako 1801 combines a smooth, dry ride with versatile functionality for a tough-as-nails fishing machine with a 40-year heritage. 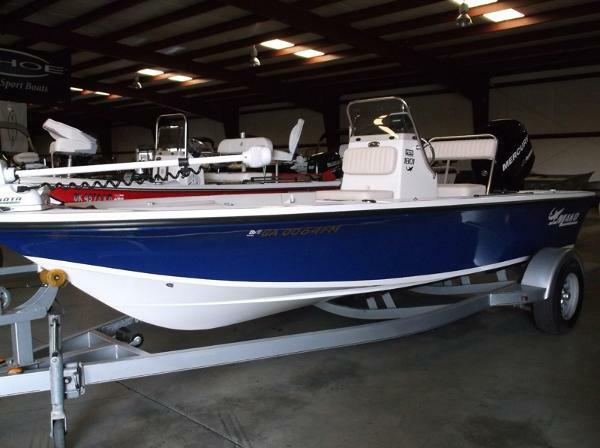 Equipped with a Garmin GPS, Jensen stereo & USB hookup, trim tabs, hydraulic steering, swim ladder, bimini top, and full boat cover. 2013 Aluminum trailer only put in water a few times. Clean as a whistle, and ready to hit the water! Call Lindsay or John at Butler Marine for more information. - DONT MISS THIS ONE! 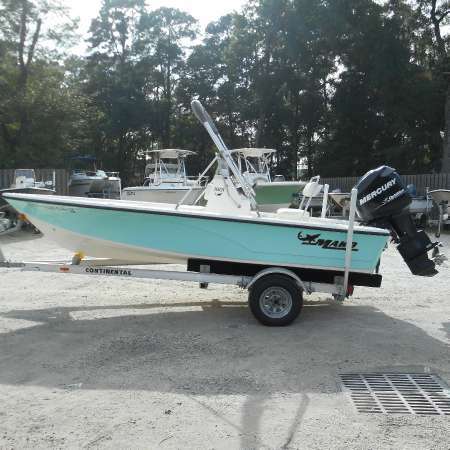 2007 Mako 1801 Inshore 2007 Mako 1801 Center console Bay Boat w/ 115hp Mercury Fourstroke EFI, power tilt & Trim, just serviced, and trailer repainted! Call now for a demo!! 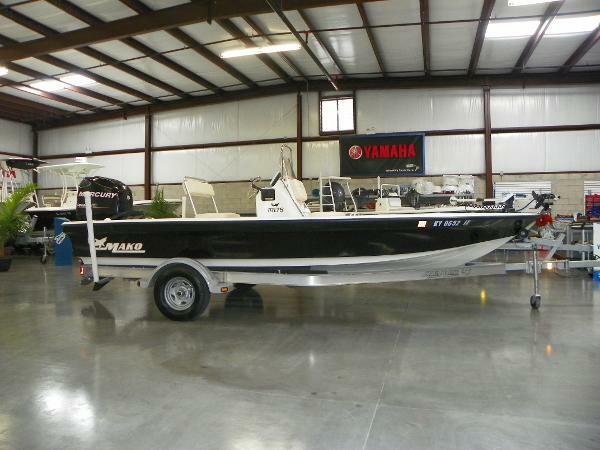 This refined 18 footer has the smooth dry ride and all the fishing features you need in a functional bay boat. 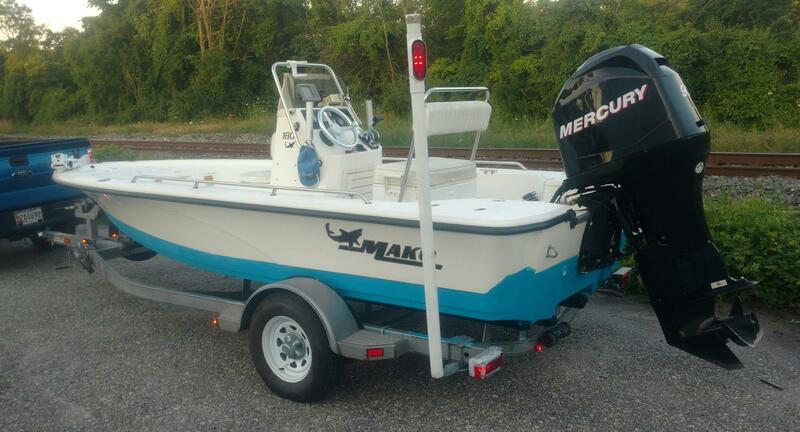 The Mako 1801 Inshore - more maneuverable and easier to handle and tow, but still fishes like a MAKO. 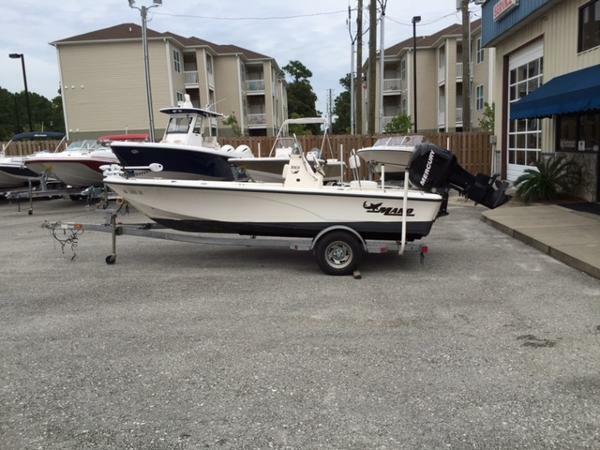 2007 Mako 1801 Inshore This 18' 2007 Mako is powered by a 2008 Mercury 115 Optimax. This boat features a Hummingbird 997 GPS/Fishfinder, Minn Kota trolling motor, flip-flop cooler seat, stainless steel grab rail, forward livewell, anchor locker, courtesy lighting, forward seating and a 2007 Trailstar single axle trailer. 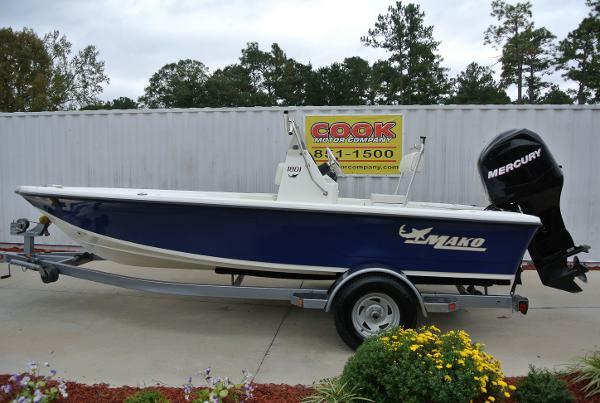 Head to the flats or to fresh water lakes with this lightly used 2008 Mako Inshore 1801. With it's shallow draft and light weight- you can sneak up to the fish in the shallowest of water using the electric trolling motor to score on some trophy fish! She is not only easy to maneuver in the water but easy to trailer also. 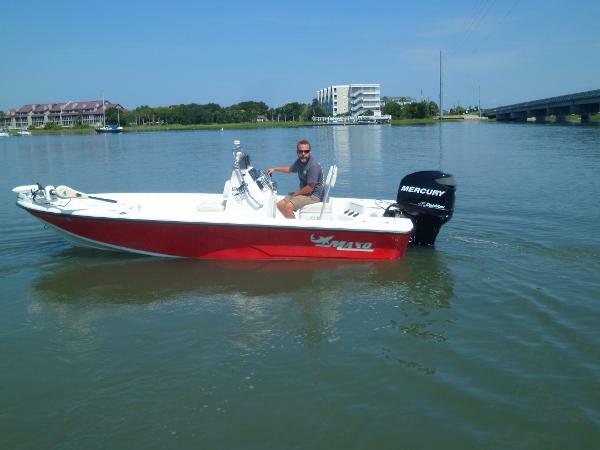 She is powered by a fuel efficient 115 HP Mercury fuel injected Optimax that will get you to the fishing grounds quickly. This boat will not last long on the market so come by Rogue Motion anytime to check her out and other late model low hour boats. Come get on the water today. We will see you there! !